English Version – published by Journal of Strategic Studies online in 2013 and in print in 2014 (Vol. 37, No. 1, pp. 65-90). 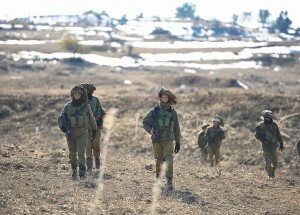 “Mowing the Grass,” Israel’s strategy in the twenty-first century against hostile non-state groups, reflects the assumption that Israel finds itself in a protracted intractable conflict. The use of force in such a conflict is not intended to attain impossible political goals, but a strategy of attrition designed primarily to degrade the enemy capabilities. Only after showing much restraint in its military responses does Israel act forcefully to destroy the capabilities of its foes, hoping that occasional large-scale operations have a temporary deterrent effect in order to create periods of quiet along its borders. The Israeli approach is substantively different from the current Western strategic thinking on dealing with non-state military challenges. This study explores the strategy in four cases: Operation Defensive Shield (2002), the Second Lebanon War (2006), Operation Cast Lead (2008-2009), and Operation Pillar of Defense (2012). Where Is the Israeli Military Heading? Can the IDF Afford a Small Army?